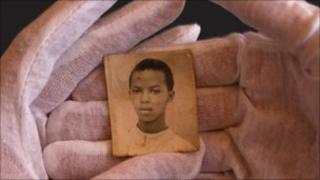 An archive of Rwanda's genocide is being unveiled in the capital, Kigali. Thousands of documents, photographs and audio-visual recordings have been collected from survivors, witnesses and perpetrators of the 1994 genocide. An estimated 800,000 people were killed in 1994, most from Rwanda's Tutsi ethnic group. The initiative is the work of the Rwandan government and the UK-based Aegis Trust, which works to prevent crimes against humanity. All across the country there are chilling memorials, like the one at Nyamata Church, close to Kigali. But BBC East Africa correspondent Will Ross says the archive is a new way of learning about the events of 1994, some of which will be available online. Places where the atrocities took place have also been mapped using the GPS satellite system. Our correspondent says the idea is that as Rwanda develops and the landscape changes, the evidence of where the atrocities took place will not be erased forever. However, the genocide remains an extremely contentious issue, he says. It is illegal to dispute the government's official version of the events of 1994. Critics of President Paul Kagame say he has used laws relating to the genocide to oppress his opponents and to maintain a firm grip on power.